Over the decades of membership in the EU, the UK has effectively outsourced many administrative competencies to EU institutions. Image: BEIS to start the procurement to ensure that some ETS system is up and running by the start of 2021. Photo courtesy of Ralf Vetterle/Pixabay. As awareness of climate change and the need to act on it has grown, so has the desire to find ways of limiting carbon emissions, and supporting low-carbon economic activity. To this end, many countries have enacted some form of carbon emissions trading. 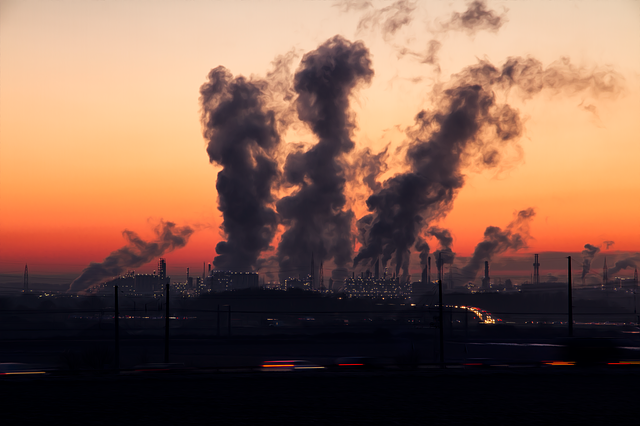 The UK, as part of the EU, has been part of the European Union’s Emissions Trading Scheme (ETS), and it relies on that to track and trade carbon emission allowances. It also acts as a registry to prove the UK’s adherence to its commitments under the Kyoto Protocol. However, Brexit is putting an end to this arrangement. Like many services that the UK outsourced to the EU, this one will now have to be brought back home. While the government is still consulting on how to the new scheme should look like, BEIS has decided to start the procurement now to ensure that some ETS system is up and running by the start of 2021, when the transition period ends and the UK (potentially) loses its access to the EU system. This is assuming, of course, that there is some kind of withdrawal agreement and transition period. Given the current climate in Westminster, none of these are safe assumptions. The ultimate level of integration with the EU scheme remains unclear, and is dependent on the outcome of Brexit machinations. The proposed 2-year transition period will mean that the UK will remain in the EU ETS for that period, and the Political Declaration states that the UK and the EU should cooperate on carbon pricing and trading, suggesting that any future UK ETS should be linked to the EU system. BEIS has already conducted extensive market assessment and engagement, with the help of Trasys. It is has also now published two related tenders focused on replacing the EU ETS. The first contract, worth £4.6 million, is for the underlying IT system to run a future UK ETS. The contract involves the design, build, test, implement and provide maintenance and support for an IT system to provide the International Transaction Log and other registry functionality required by the Kyoto Protocol. Additionally, it should provide a way for the 1,450 or so UK participants in the scheme and their data to be migrated over to the new system. Finally, it should have the ability for new participants to join and monitor their data. The second contract, valued at £1.5 million is available for the development of the UK’s Kyoto Protocol registry database, which is also linked to emissions trading and national carbon reduction targets. It is worth noting that this is one of many recent It contracts, linking spending directly to Brexit challenged. These include, for example, a GDS tender issued yesterday (1 April) for £1 million worth of urgent technology support for departments affected by Brexit. BEIS itself published a number of tenders related to developing new product safety systems, with a cost of around £680,000 (and a further £100,000 or so, made available for usability and user research related to the same contract). Such contracts are likely to be the tip of the iceberg; with many more likely to come once the form Brexit will take becomes clearer.